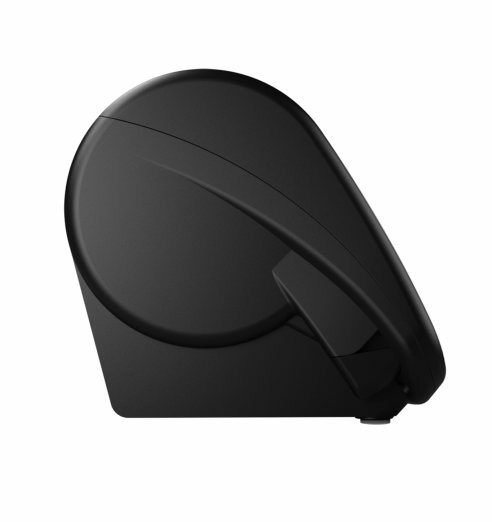 With its modern style and its industry-optimized ultra-compact design, DOT effortlessly fits into any environment and is the ideal solution for venues where space is limited. 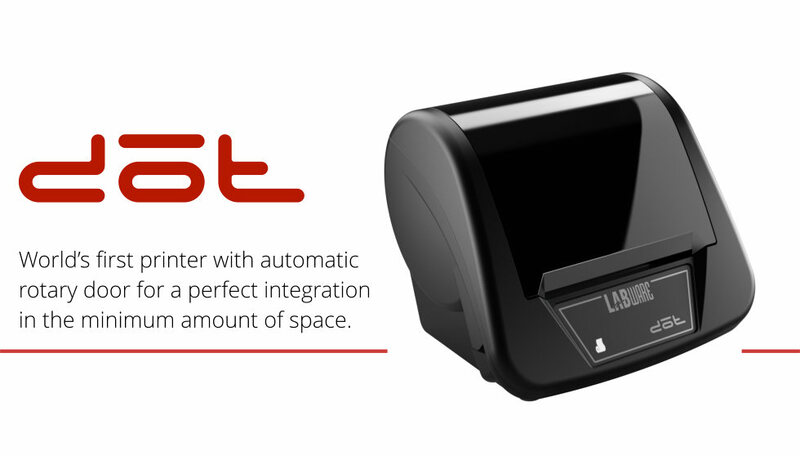 Featuring the world’s first automatic rotary door (Patent pending*), DOT is the most compact printer in its class ensuring maximum space-saving and flexible positioning. Specifically designed for the hospitality market, DOT’s key strengths lie in its sturdiness and reliability. Spill and dust-proof, heat, moisture and fume resistant (with the optional kit) to reliably withstand the harsh operating conditions typical of kitchens and pizzerias. All aspects have been optimized to make DOT easy to use, quick and efficient in frenetic hospitality environments, and perfectly functioning over the years even in the most demanding work settings. 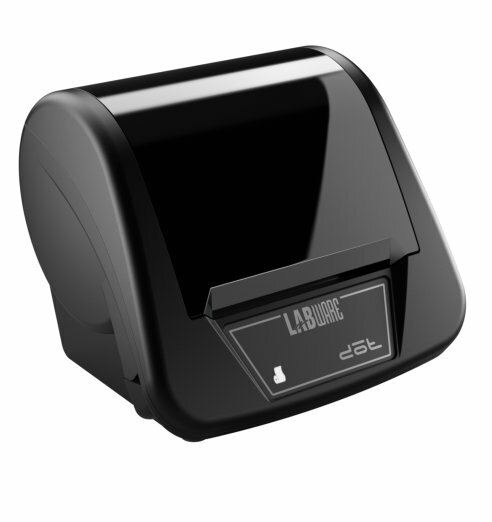 DOT printer combines high printing quality with top performance. Automatic door open and a large 80/80 roll make paper replacement quick and seamless. 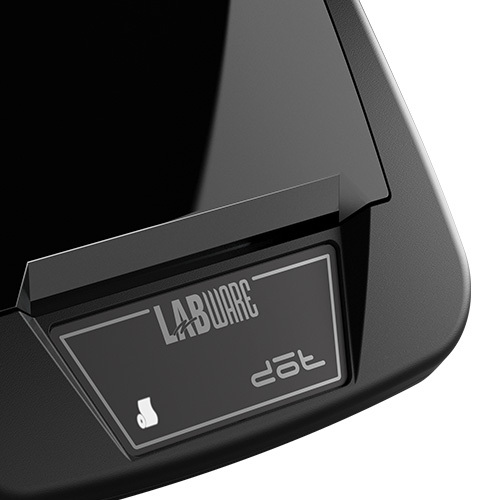 The exceptional quality of every component ensures impeccable performance. 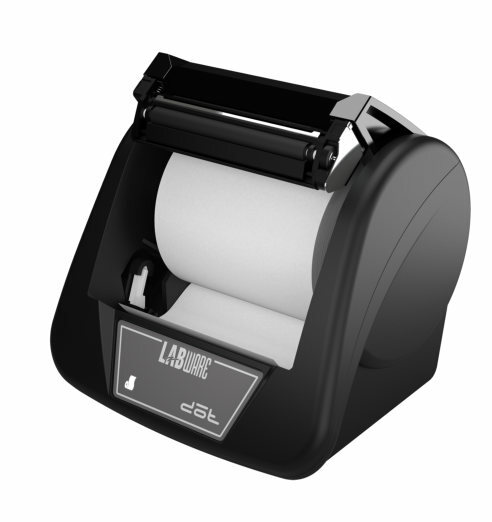 The automatic cutter carries a 1 million cuts guarantee, and is equipped with a special lock-free system that prevents the paper from getting stuck or jamming the printer; the high-quality thermal printhead is warranted to print 100 Km of paper tape; high-speed printing (up to 170 mm/sec) will let you save time in rapid and busy environments. The front paper exit also enhances the experience and immediate satisfaction of customers.